Rampa, &ME, Adam Port, David Mayer and Reznik, part of the Keinemusik collective from Berlin granted us exclusive access to their creative rooms in Berlin. As they are finishing their 5th anniversary at the moment, we are really happy to catch them for a little interview and a studio tour. 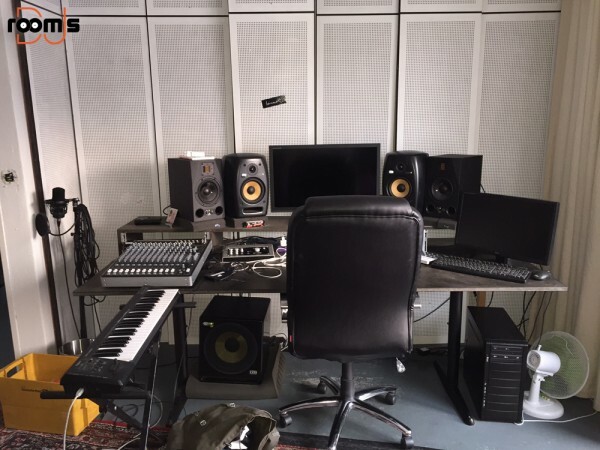 Take a look at their different studio corners where all the records including their newest release “Workparty FIVE” were produced. Low resolution, lower framerate and 265 colours. The good old GIF format from Compuserve is ageing but in times of social media sites like tumblr these short animations still get shared all over the world. And they are so much fun! After part one, two and three of our animated GIF collections, its time for some new fantastic footage. Enjoy 25 high quality GIF animations of vinyl records. Fast internet connection highly recommended! And again another peek through the keyhole. 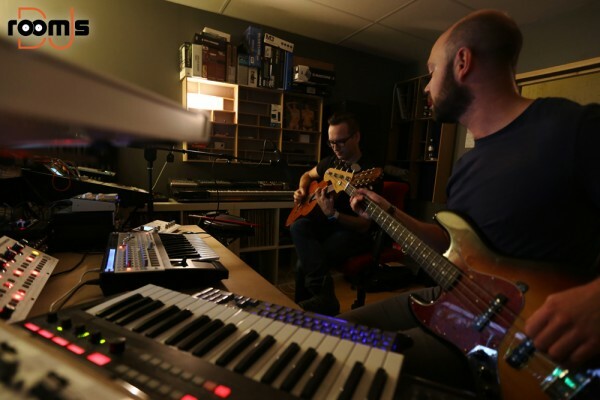 The duo OF NORWAY (Vegard “Lil'” Wolf Dyvik and Chris Lynch) from Oslo gives you exclusive access to their creativity rooms. 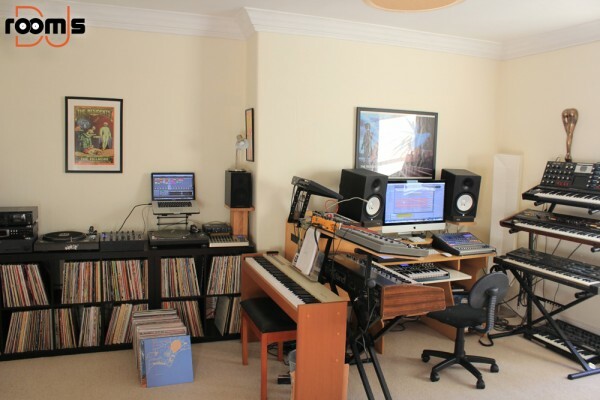 A studio fully packed with finest equipment and of course a lot of records. We’ve had a really nice interview with both of the guys just before their new album release. Ever thought of building your own club in the basement having a good time with your friends? 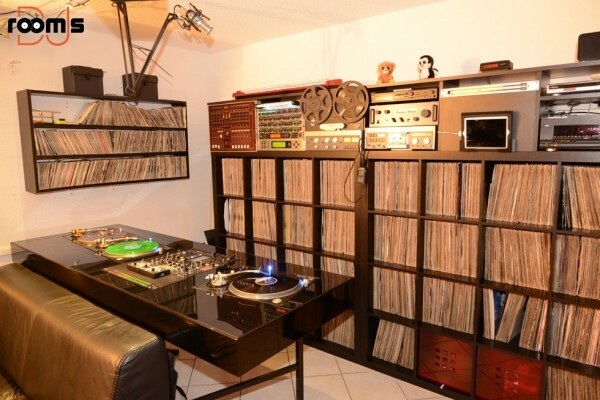 Joey Madonia from Florida did so and made his dream come true with this overwhelming DJ room inside of his house. As a Disco pioneer from the 70′s and Light & Sound Technician, he was responsible for many installations in some of the most popular clubs in New York and Florida. Joey has worked together with Larry Levan, & Michael Brody (Paradise Garage) and had close association with Richard Long and performed side by side with many big names in the House and Disco scene during the past 40 years. 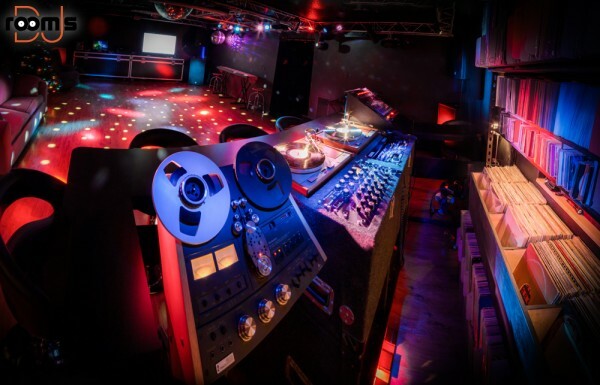 In 2013 he put everything together using his 30 years of work experience and 40 years of knowledge to buidt the perfect and unique club room. It took him 7 months to built his very own ‘DJ Heaven’. We are really proud to share these wonderful pictures of the buildup process and the finished room with you. And of course we had a really detailed interview with Joey for this project. Is this THE ultimative DJ room? We already showed you many art installations like the Wood Slices Record Player or some wonderful vinyl record art by Ted Riederer here on DJ rooms. Artist Evan Holm also uses vinyl in his projects a lot. He built this stunning art installation combining nature elements like water and wood covered with moss. The spinning turntable creates a huge whirl in the black inked water basin. Unfortunately the non consistent speed of the turntable leads to a loss of sound quality. 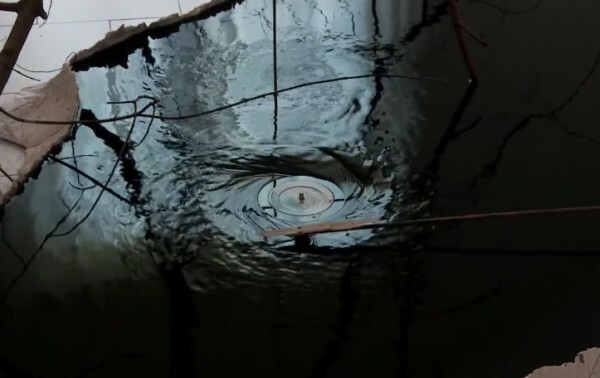 But as this is art, we really love the idea of playing a record under water. If you do not believe that this installation actually works, have a look at the second video with the making of below. Vinyl freaks watch out! Here it is again: The perfect wall of sound. 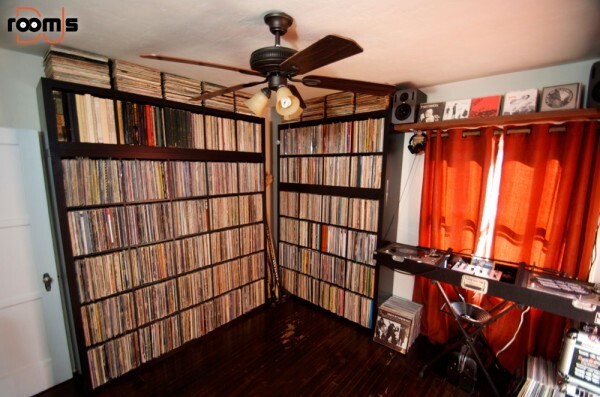 DJ Roger Lane from San Diego, California shared these wonderful pictures of his outstanding record room with us. 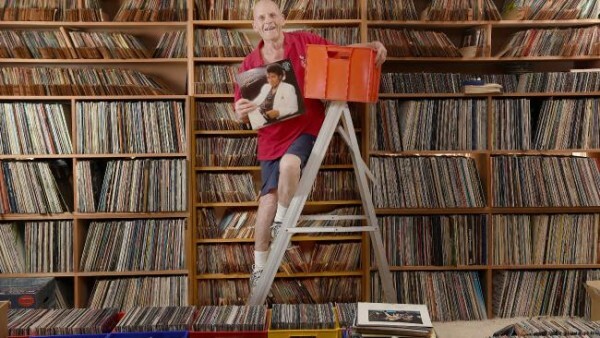 Beside a collection of around 7000 vinyl records, stacked in IKEA Expedit shelves, Roger will tell more about his favourite hobby in a detailled interview. And you will learn more about his special indian door. 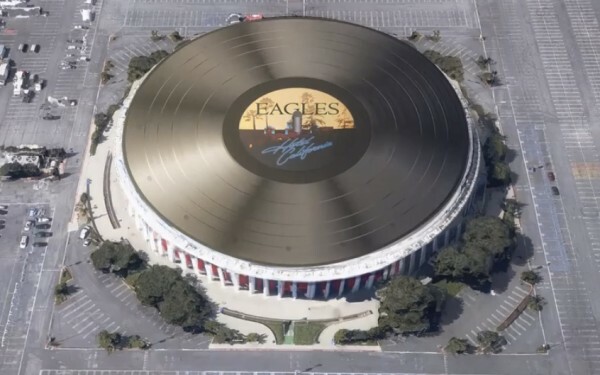 Would you like to spin some Records with Roger? Switzerland seems to be one of those spezial countries, where record collectors and DJs do know exactly how to design and arrange their DJ setup. DJ Othello from Lausanne contributes to our DJ rooms gallery with these wonderful pictures of his interior design and a little interview. A custom made DJ booth made out of dark colored glass provides him the perfect arrangement for his 3 turntables and his modded pioneer mixer. And Othello is a big fan of the limited golden Technics turntables 1200 GLD and the M5G that are completing his setup. You definitely have to check out this deluxe DJ console in our room of the week 59.